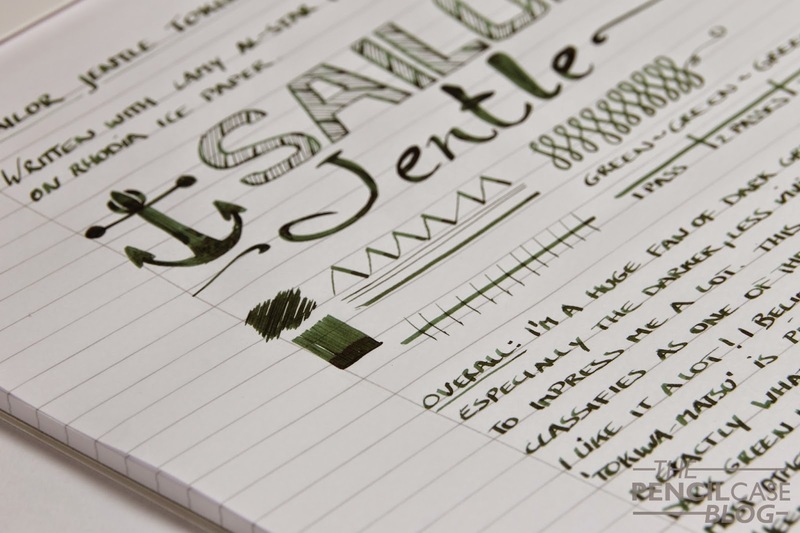 I'm a big fan of green inks, especially the darker, less vivid kinds are where it's at for me. 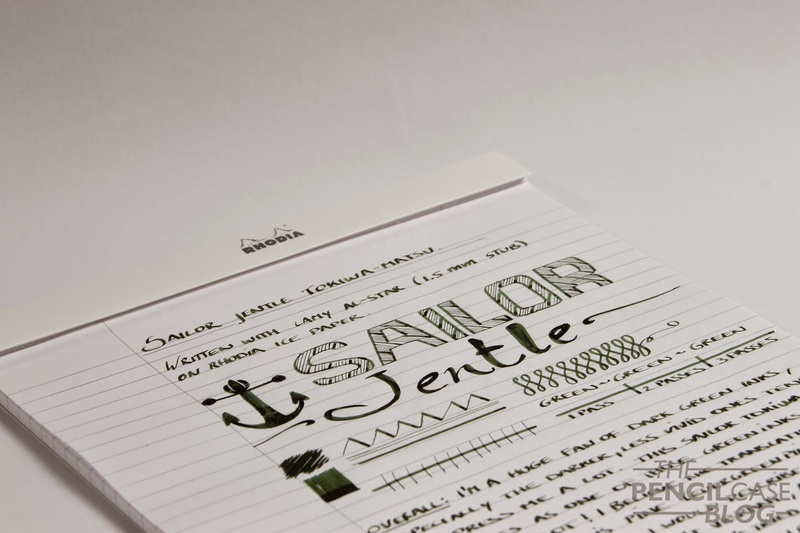 This Sailor Jentle Tokiwa-Matsu is exactly that! Man, do I like it! The translation for Tokiwa-Matsu is, as far as Iv'e read, Evergreen Pine. The name on itself is actually a perfect description of what this ink looks like on the page. The green ink isn't vibrant, at least not like some other greens I own. 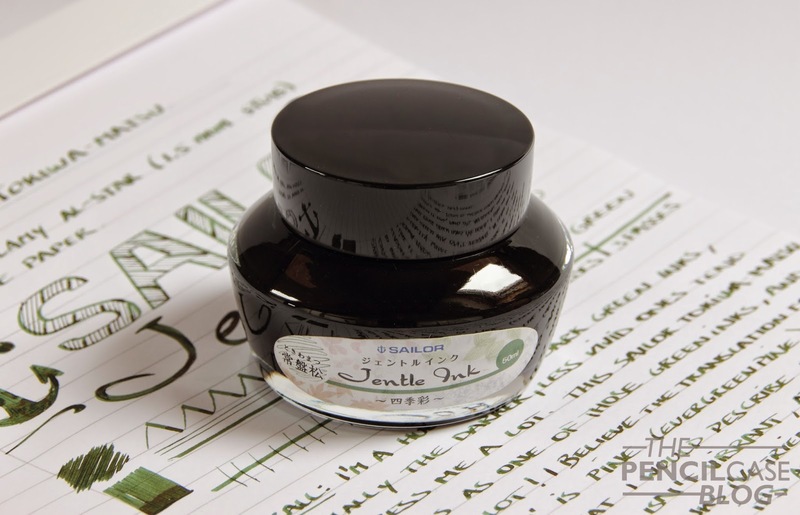 But it's also not as undersaturated as J.Herbin Vert Empire. It has a subtle, but rich pine green color. But apart from the great color, there's one aspect about it that really makes this a winner: Sheen! 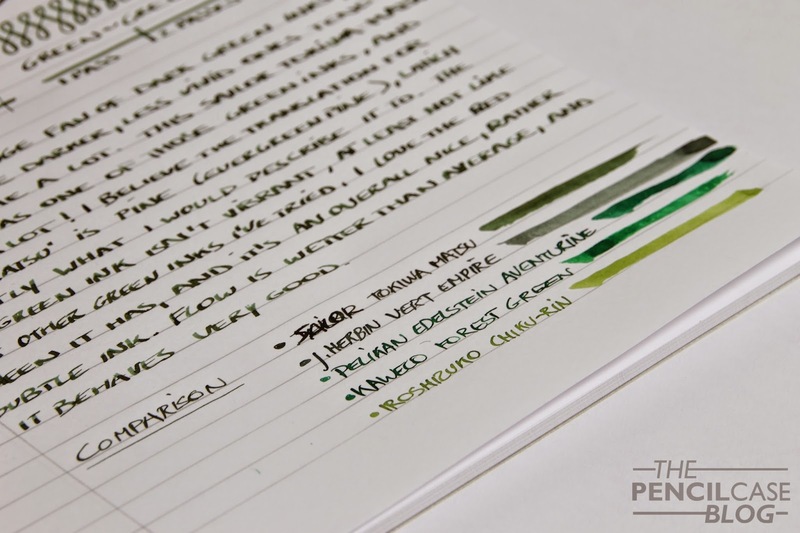 There's a rich, and easily noticeable red sheen where the ink pools, which gives some depth to the dark green ink! Flow seems to be a bit wetter than average. There's some nice shading to be had, and it behaves nicely overall. In short, Sailor Tokiwa-Matsu is a lovely ink with a lot worth going for. 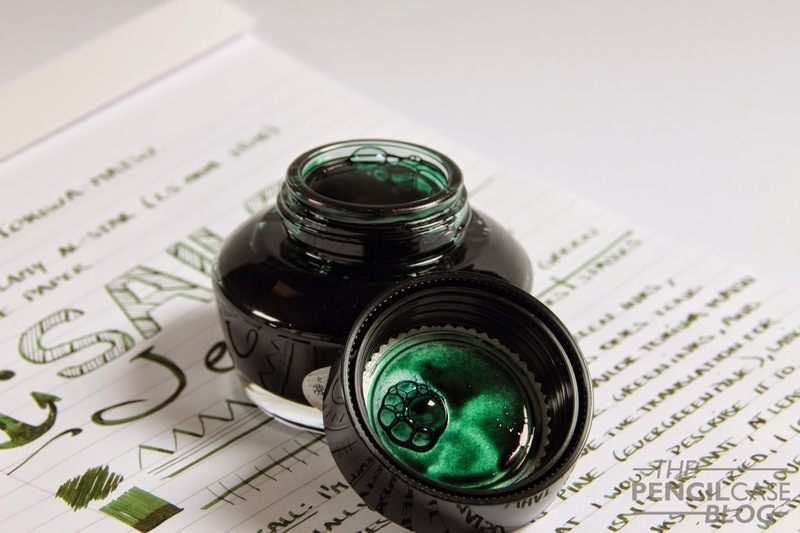 If you're as fond of dark greens as I am, this ink should definitely be on your wishlist! At 18 EUR / 20 USD for a 50ml bottle, Sailor definitely doesn't sell this stuff cheap, but it's well-worth it for me!